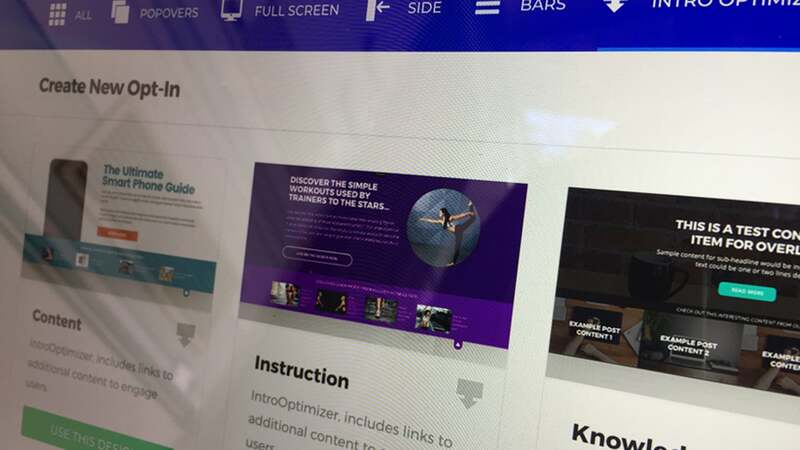 We have been super busy in the OptimizePress HQ with developers working on sprints and the content team creating some new training guides for you all. With lots of other stuff in the making, we wanted to take this time to update you on the most recent features released to OptmizeLeads (OPL). 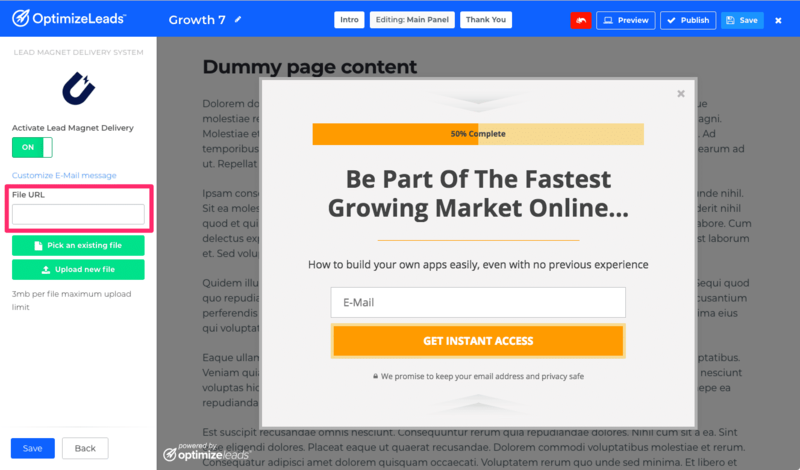 If you are reading this blog post and you don’t yet know what OptimizeLeads is, you are missing out on an incredibly powerful tool for growing your email list. We use OptimizeLeads on our own blog posts, like our recent SSL kit. 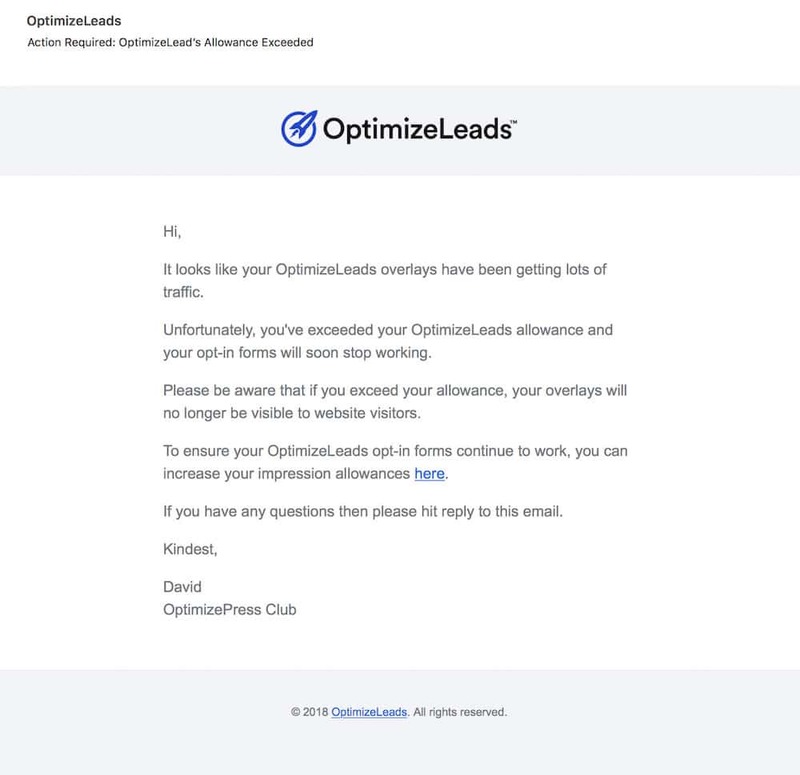 OptimizeLeads is our exclusive lead capture tool that OptimizePress Club members get access to. If you’re not a Club member yet you can join here. Here’s a video on these new features that we’ve just released and how you can put them into action. So let’s look at the features for those who don’t have time to watch the video above. One of the major benefits of OptimizeLeads is the lead magnet delivery option. We’ve taken away all the pain out of delivering a simple lead magnet. Before you had to upload a file to WordPress, or another storage location, get the link, copy that to a page or email, then check it all works. Worry it’s still not working, then test it again. Now, you simply upload the file directly into OptimizeLeads and that’s it! It’s so easy to do. If you are not a Club member yet, can you now see the benefits of having OPL? You can then easily customize the email message that’s sent to the customers by clicking Customize E-Mail Message. And write in your own text. Here’s how the email looks to the customer. 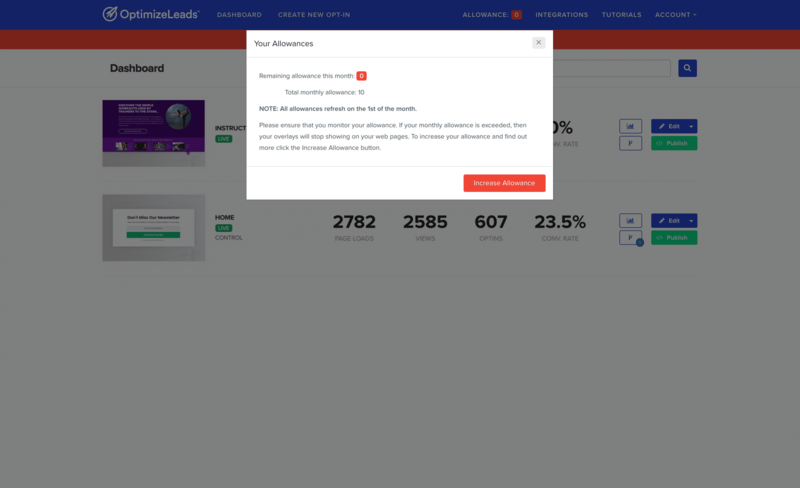 Due to the cost of our servers to store and deliver the files, the Lead Magnet delivery feature is not available as part of the default standard OptimizeLeads tier. You will need to upgrade to either the Silver, Gold or Platinum tier. However, you can also still use your own storage account for serving larger files. If your download file was over the Lead Magnet Allowance File Size you would upload the file to your own online storage account and copy the URL into the File URL field. You have a file that’s 10MB in size. Your account is Silver Tier plan. Your Lead Magnet Allowance is 3MB. In this example, you couldn’t upload the 10MB file to your Silver Tier account, so you would use the self-storage and file URL option. The email and delivery will still work the same. The only difference being your file is stored in your space. Whoop! Whoop! I have much love for ConvertKit. I’ve followed them for years when they were an email platform for authors. Then last year I switched to ConvertKit from Aweber and there’s no looking back. 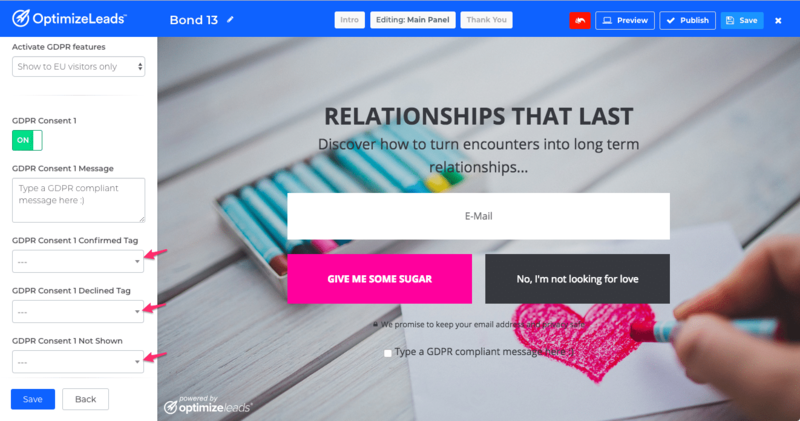 Their email platform and automation features are AMAZING! 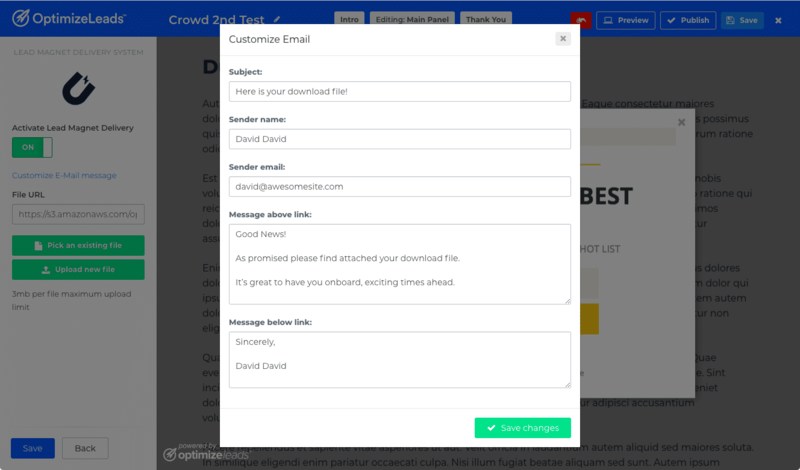 The new integration allows you to connect an opt-in template in OptimizeLeads to a form in ConvertKit. Forms in ConvertKit are kind of like lists. We have then added the feature to select a tag from your ConvertKit account. So, why is this so damn good? When you connect to our ConvertKit integration you can now trigger automation inside your ConvertKit account. The form and tags are set in OPL. When someone signs up for one of your lead magnets, OptimizeLeads delivers the file and at the same time can trigger any automation you have set to start when a lead is tagged. This could be any followup sequence email series to build trust with your new subscriber. For all our users maintaining GDPR compliance, we have added a range of simple features to our integrations to make it easy for you to comply. If you want to know more about how GDPR affects your marketing, you can find out more about the OptimizePress GDPR features here. With these new GDPR features, you now have a choice of how you show this to your visitors. Once you turn it on you’ll get the option for two consent messages. These options allow you to run automation based on GDPR consent and act as proof the customer did or didn’t give you consent. We have created a new standard allowance volume for all OptimizeLeads users. All OptimizeLeads account holders get 5000 monthly impressions. This new standard allowance gives you access to a generous 5000 monthly overlay impressions. 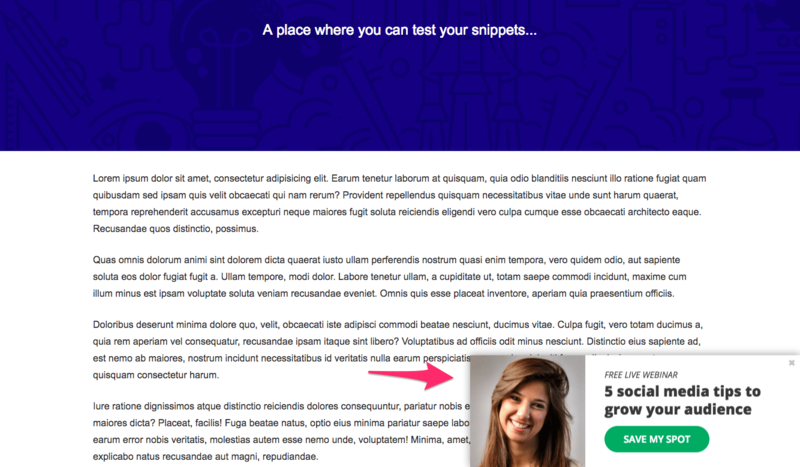 An impression counts each time your OptimizeLeads overlay loads on a page it’s embedded on. This 5000 impressions allowance is included in your monthly club membership. You can always upgrade your allowance at any time. If you start nearing your limit you will see a notification bar at the top of your account. If you click allowance at the top you will see a popup and from there you can increase your allowance. We will also send you an email to notify you of your limit. It will be similar to the email below, so you have plenty of warning if you are reaching your limit. On a plus side, if you are reaching your allowance limit then you’re probably growing your email list super fast! Congrats on that! Now the fun part! Making your forms look nice. 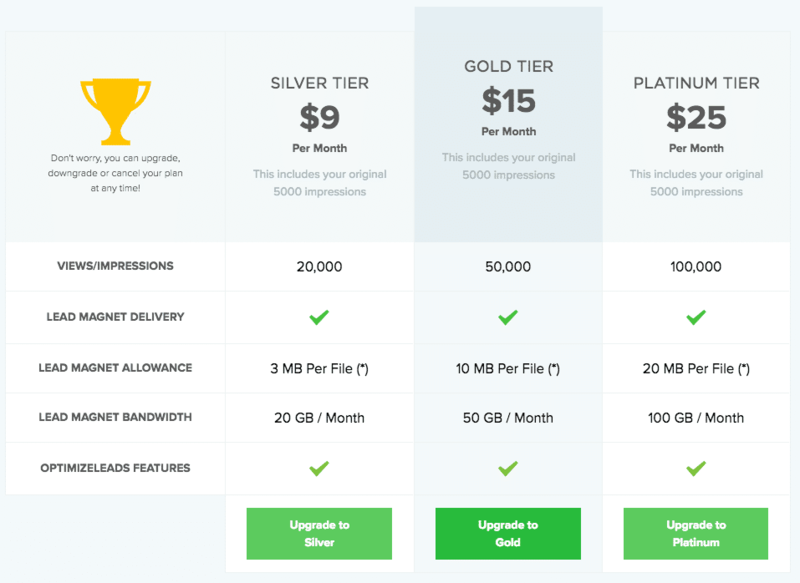 We’ve added two new template styles and a range of conversion templates. These new styles will really open up your list building and traffic opportunities. 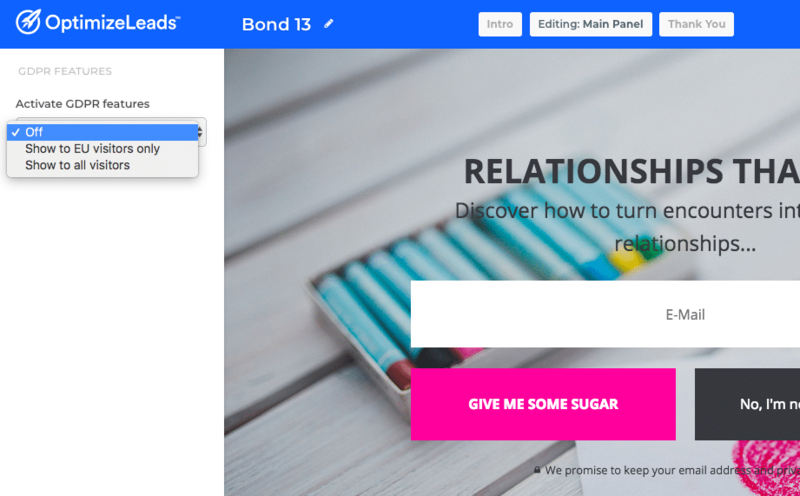 This new template style completely changes what type of content you can show on your pages. 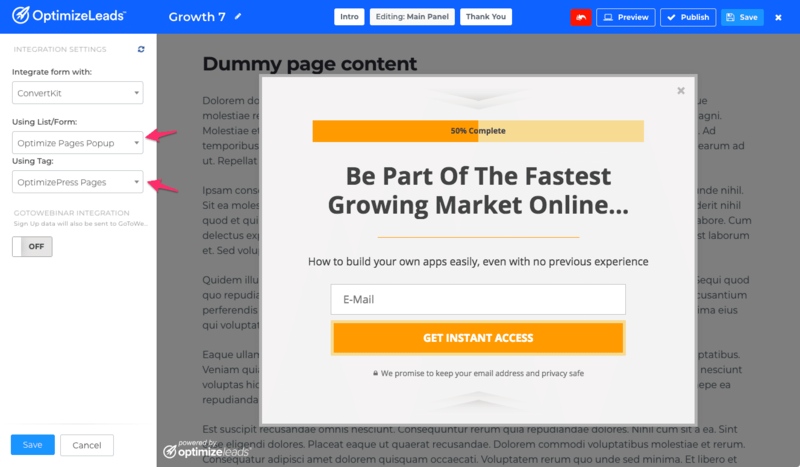 It’s not exactly an opt-in form but will let you highlight your top content. Here are the new styles. 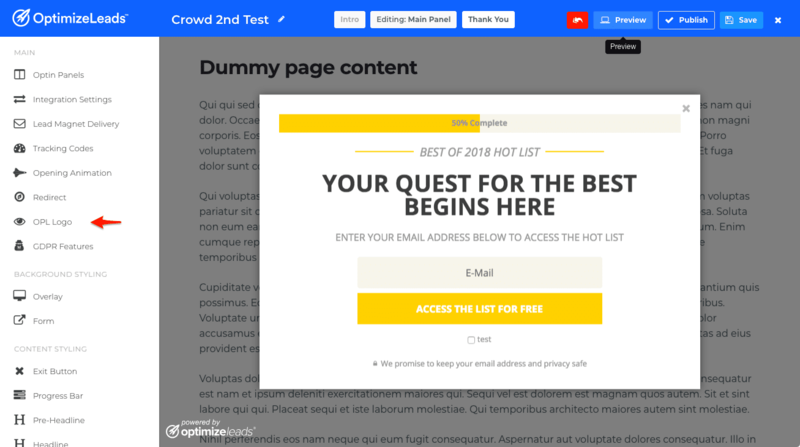 The Intro Optimizer allows you to link through to four other pages. 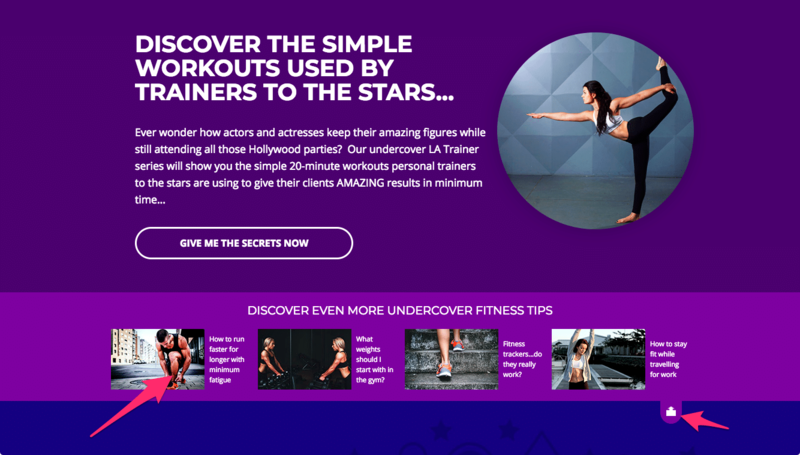 These could be pages on your site, landing pages, blog posts, or whatever you like. The user can then choose to hide the Intro Optimizer and they will see a little tab top right. 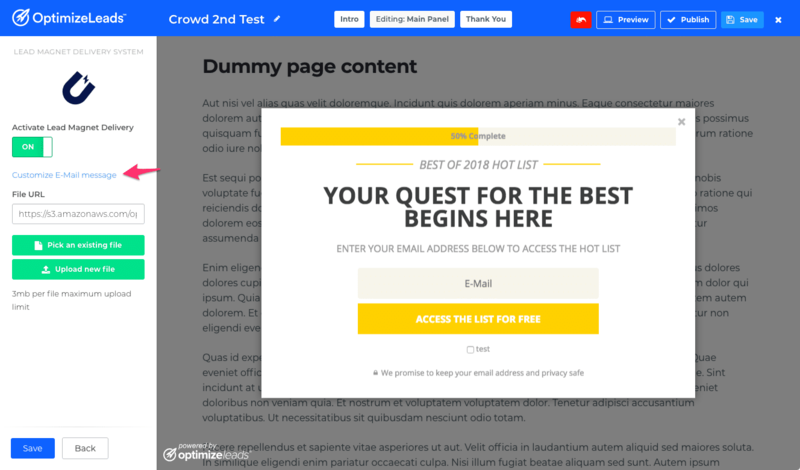 As of the time of writing this post (August 2018), no other list building tool has this kind of style. And now for the Sidebars. 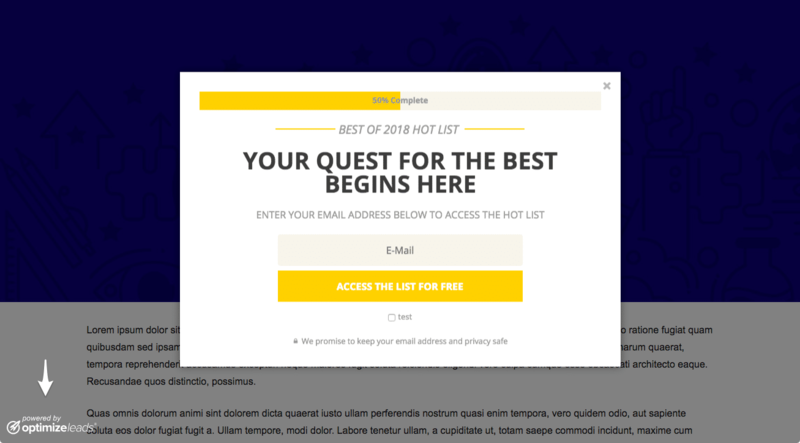 These are really effective when used with the Scroll Pop publish setting which means they will appear when a percentage of the page is loaded. The new Sidebars overlay category consists of a range of overlay styles from opt-in forms or content button links. The content style lets you pop in a small content box that you can link away to another piece of content, landing page or shopping cart. If you are on one of our additional allowance plans you now have the option to hide the OPL logo. 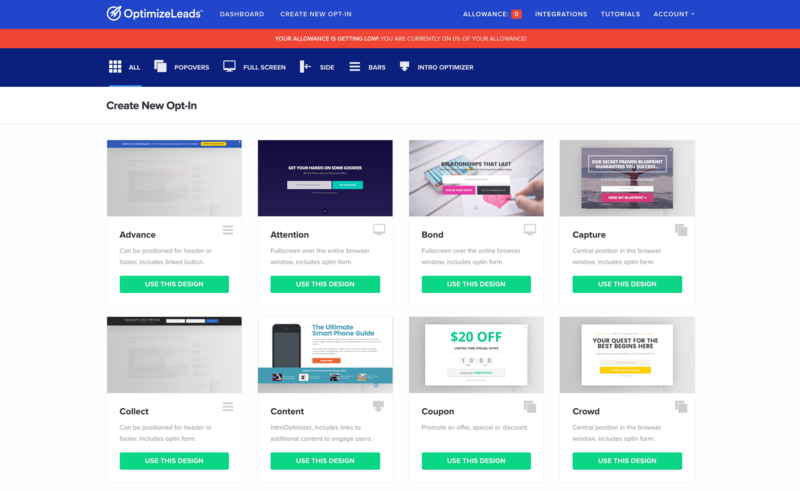 Obviously, we would love you to share the “Powered By OptimizeLeads” logo but we understand some of you might like to hide it from your overlays. The OPL logo sits bottom left when your forms load on your pages. To hide the logo simple got to OPL Logo and toggle the visibility off. A bunch of new features that really will increase your list building opportunities. We have more integrations in the pipeline so if you don’t see your email list provider yet it will be coming very soon. 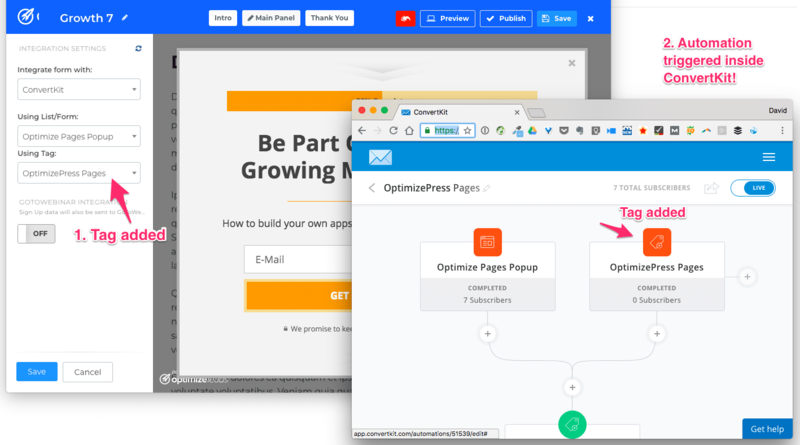 If you are not yet a member of the OptimizePress Club click here to upgrade or join. Thanks so much for using OptimizePress and OptimizeLeads. We love seeing your results and hearing your feedback. As always, let us know below what integrations and features you would like to see in the next OptimizeLeads update. 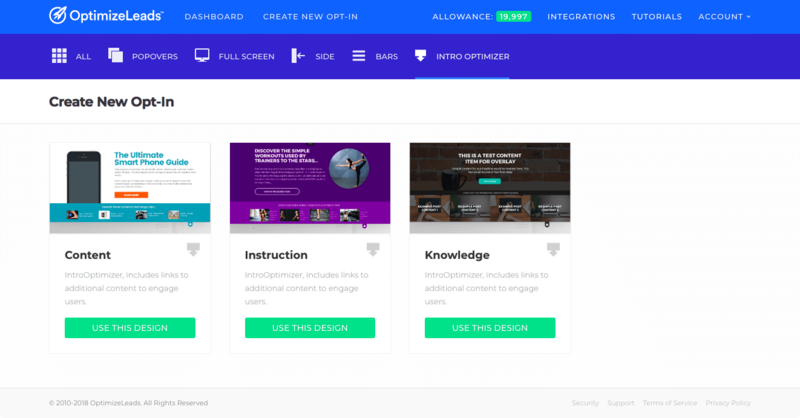 6 replies to "[OptimizeLeads Update] New Templates, File Delivery & ConvertKit Integration…"
Will OPL work with Infusionsoft or is the only integration possible with ConvertKit? 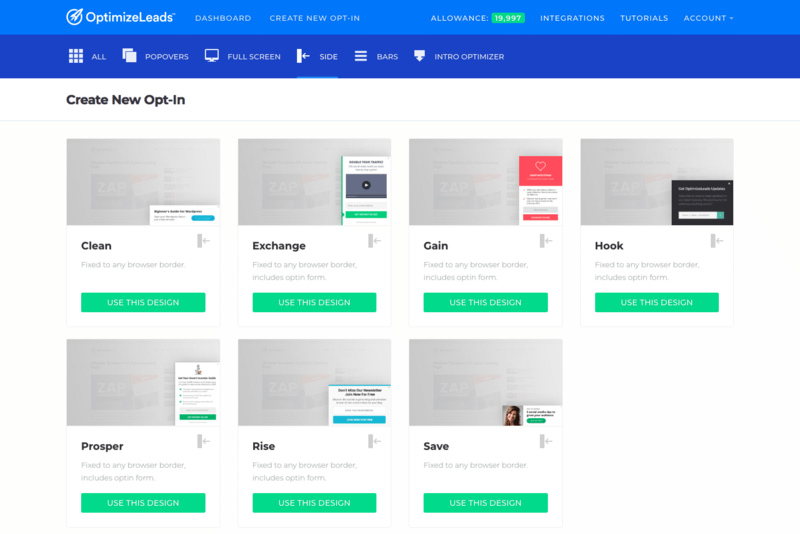 nice features for everyone who uses Optimize Leads and easy to implement. Unfortunately i can´t use neither Optimize Leads nor any GDPR-features due there is no integration with my (german) mail service (klicktipp). Is it a realistic hope that there will be an integration sometime (e.g. by raw code?). I’m not sure if we will be integrating with Klicktipp anytime soon. Sorry. Have you tried Zapier to connect Optimize Press with your German email service provider. Thank You for sharing these updates! !